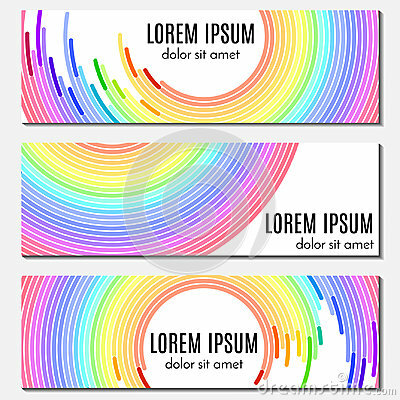 Set of colorful rainbow abstract header banners with curved lines and place for text. Set of colorful rainbow abstract header banners with curved lines and place for text. Vector backgrounds for web design.